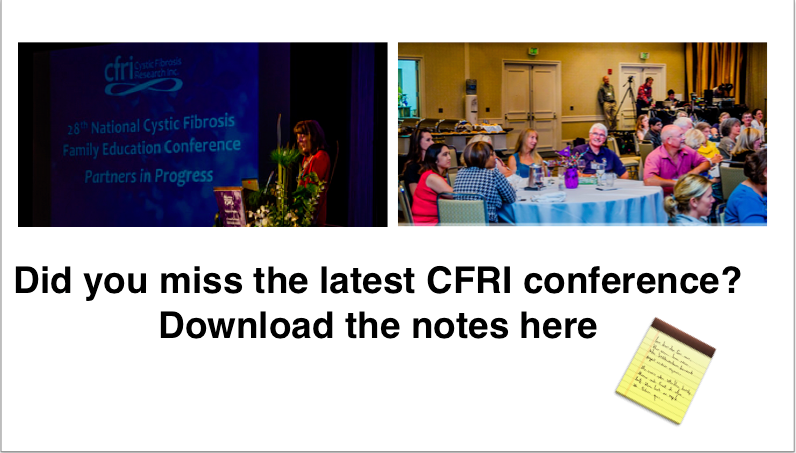 Last week the annual CFRI conference was held in Redwood City California. 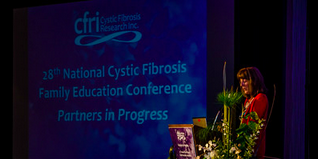 For those of you who are not familiar with CFRI, it’s a terrific organisation that funds cystic fibrosis research, provides educational and personal support, and spreads awareness of cystic fibrosis. I travelled to the most recent conference last week which was fantastic. About 200 people went, a combination of speakers that included CF doctors and program directors, a physiotherapist, a social worker, an infection control expert and CF nurse / clinic co-ordinator who has devoted her life to CF; plus about 150 CF parents. I took a heap of notes so that I could share the content with you all. You can download my notes here. Please keep in mind that there was a mountain of info so I’ve done my best to try and record / remember as much as I could in each session but there may be some things missing. There’s a bit more to put down on paper but this is the majority of the sessions as I remember them.